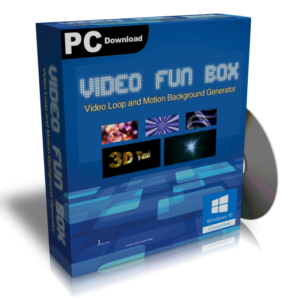 Make your own unique seamless video loops in minutes with Video Fun Box ! Motion background video loops add visual interest to background menus on DVDs. They can also be use as backdrops for green screen work in commercial video productions. Now that internet speeds are fast enough to include video backgrounds on websites, everyman and his dog wants a video made for them! As a result, the demand for seamless video loops has never been higher. Stock Video footages Companies are more than happy to supply the demand for video backgrounds, but there’s no doubt about it, stock footage video loops are expensive and you can be certain that the footage you pick from them will appear in hundreds of other productions. If you want your work to stand out from the crowd, then you need a source of unique background video footage. This is where Video Fun Box 2 comes swinging into the rescue! As well as offering comprehensive 3D Video Titling facilities, Video Fun Box 2 can also be used to create stunning seamless video loops in next to no time! It features an easy to use keyframe animation system that makes creating seamless video loops child’s play. All of the videos in the gallery below were generated in the current version of Video Fun Box. Select the video you would like to play, then scroll to the top of the page to see it playing in the big window. On desktop browsers, you can use the arrow up button to automatically scroll to the top of the page. 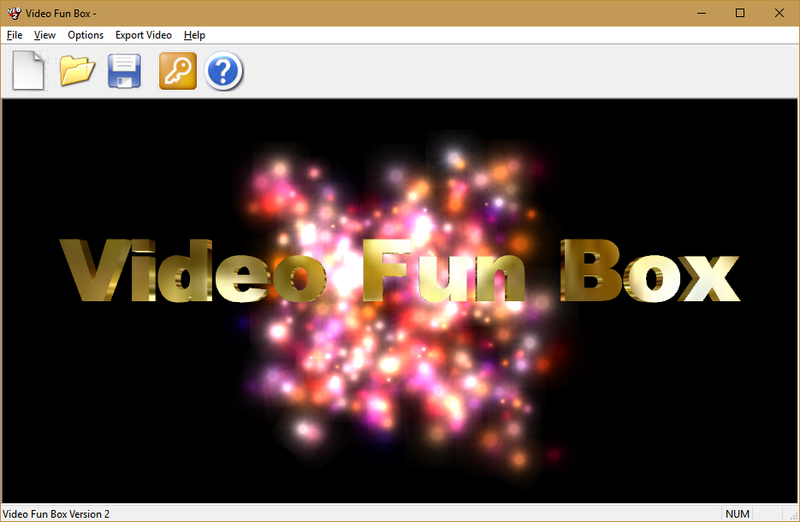 If you enjoy watching these videos, then please consider downloading the demo of Video Fun Box and giving it a try. Also, if you would like to stay up to date with our youtube channel, please subscribe to it. Once you subscribe you’ll be notified when we post a new video.